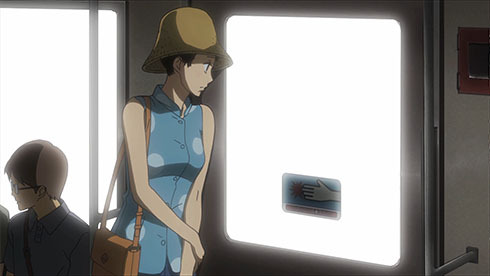 Welcome to this week’s review of notable instances of transit, place and culture as rendered in anime currently broadcast in Japan and simulcast internationally via the web. For a detailed outline of the approach, please refer to the explanation in the inaugural issue. 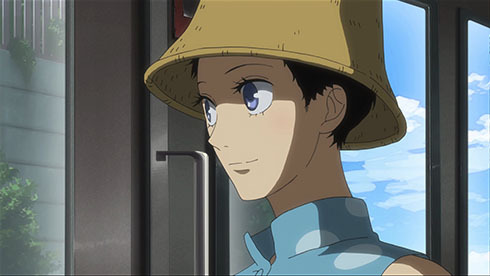 This week we get another glimpse of the Enoden line. 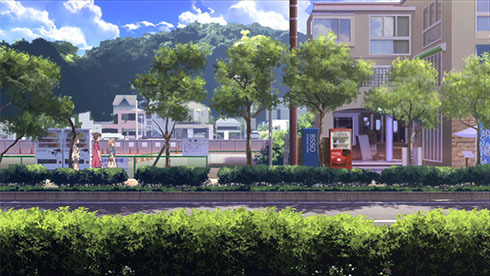 I learned from a guest post by Bruce P. on Erica Friedman’s Okazu blog that the management at Enoshima Electric Railway is rather hip to the branding opportunities created when its trains and stations get prominent placement in manga and anime. 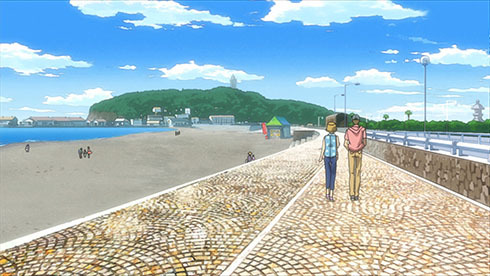 Bruce just attended an event featuring artwork from Aoi Hana, which is set in the seaside stretch from Kamakura to Enoshima covered by the Enoden. 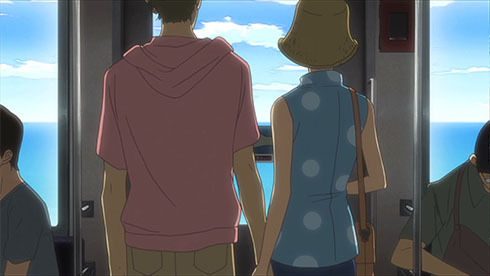 He noted a similar event coinciding with the broadcast of Tsuritama was held in the Spring. 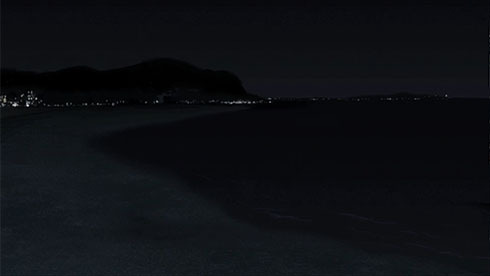 With Tari Tari, vistas and neighborhoods around the Enoshima, Fujisawa and Kamakura triangle are the featured stars. 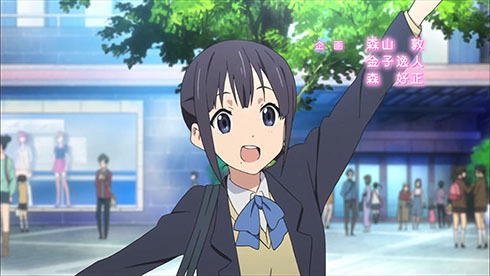 A few minutes of Googling will net you a nice stack of photos of Tari Tari posters hung around Enoshima, which depict scenes on the island (how’s that for meta?). With regard to both public transit and the transit accessible, walkable neighborhoods it facilitates, this idea of branding for infrastructure and place is one of the core initiatives I’m trying to tackle with my company, Third Place Media. My challenge is to figure out how to communicate the value and desirability of transit and authentic place, particularly to planners who still espouse a model of suburban design that has all but abandoned the traditional downtown and the car-dependent Americans who live in those places. This is one of the reasons I’ve singled out Tari Tari for detailed scrutiny. It’s a weekly advertisement for great neighborhoods. 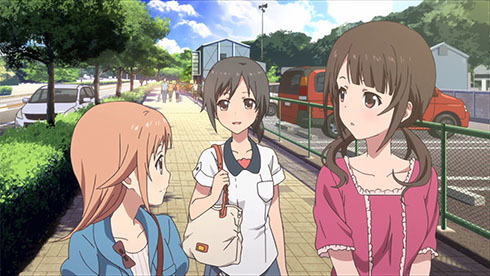 Wakana invites Konatsu and Sawa to go into town to see a musical. It would be great if everyone had an in town to go to for everyday needs, entertainment and social interaction. “Let’s go to the strip mall/Walmart/Target!” just doesn’t have the same ring to it. It’s not yet tagged on the map, but I’m almost certain this is the Kamakura Performing Arts Center, near Ofuna Station. These wide sidewalks separated from the street by shrub and tree filled planters look an awful lot like those along Prefectural Route 21, running from Kamakura Station southwest to the water, but it could be any number of places. More interesting is that this is just one of the many examples in each episode of how safe and multi-modal communities like this foster independence. 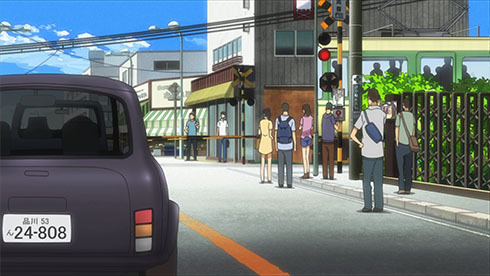 Lack of a driver’s license does not limit Konatsu, Wakana, Sawa and the others in their mobility. I was delighted to make a new discovery this week, the result of having not done enough due diligence on the background research for this show. 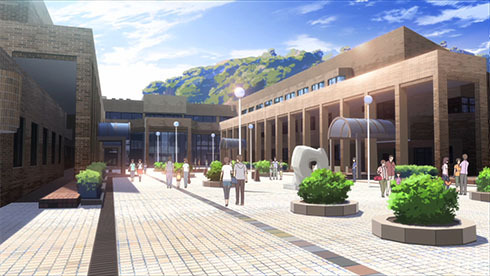 Yamaboshi, the setting for the town and academy, is fictional, and I initially hadn’t thought to dig further. 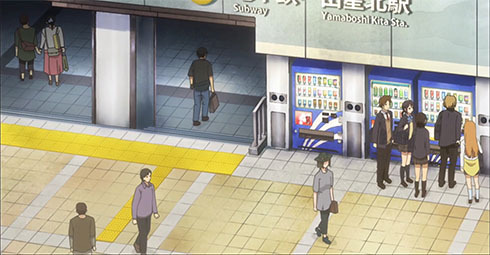 After the opening scene again featured the commercial district, on a whim I ran searches on the romaji, kana and kanji for the subway station name. 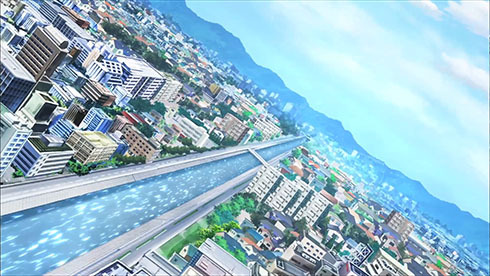 I came across this post by an anonymous blogger who recently launched Otaku Pilgrimages for Anime places, which reveals that the setting (at least the downtown area) is closely modeled after a location in Yokohama, Kanagawa Prefecture. 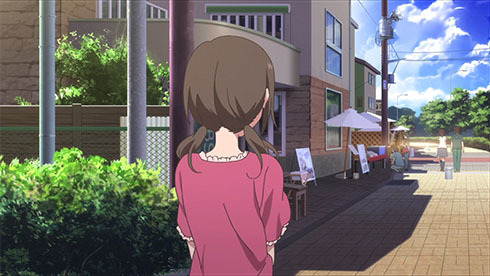 He/she indicates the setting is Kōhoku Ward, though Yamaboshi Kita (Center Kita in real life) is in neighboring Tsuzuki Ward. There seems to have been a history of redistricting and renaming of a handful of areas, which may explain the confusion. 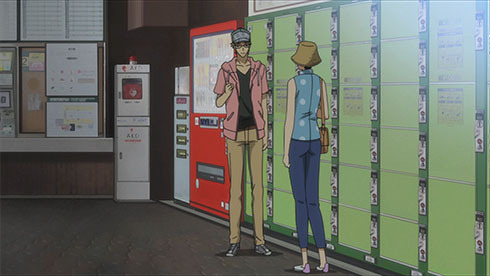 The area in question was actually called Kōhoku New Town during the 1980s and 90s when the commercial center was built. A subway extension from Shin-Yokohama to Azamino station was a significant driver of the development. 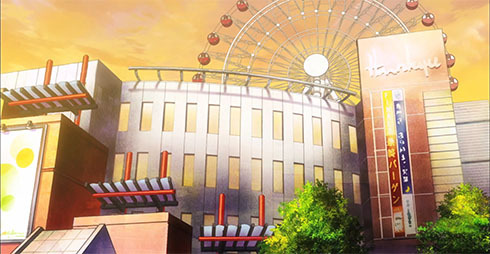 In the opening credits, Iori is standing on the large pedestrian square. The square and building behind her are closely modeled on the Mosaic Mall. Using Google Maps, one can quickly zoom in and locate recognizable landmarks such as the Ferris wheel and this outdoor theater seating. While you can tour around the area via Street View, you’ll have to sift through the user-uploaded geotagged photos to get up close to the places from the show, as most are dedicated to pedestrian-only traffic and completely inaccessible to cars. Imagine such a thing! 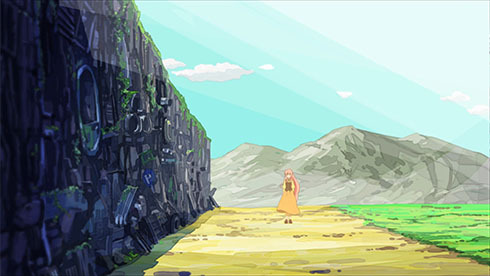 We pickup at the ending of the previous episode, with Rokka and Atsushi (still borrowing Ryūsuke’s body) in the park. 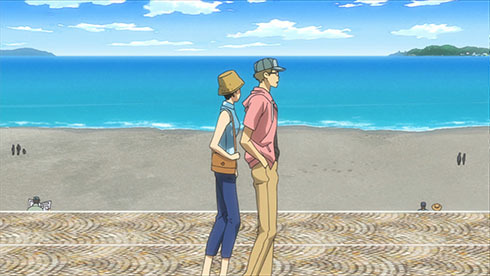 Atsushi convinces her to take a spontaneous trip to the beach. 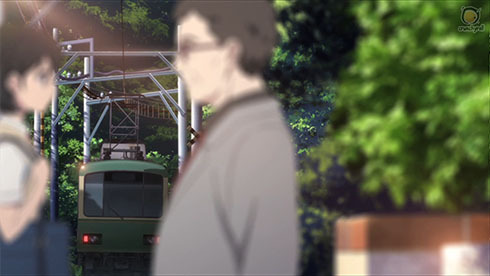 That train carriage looks awfully familiar, doesn’t it? 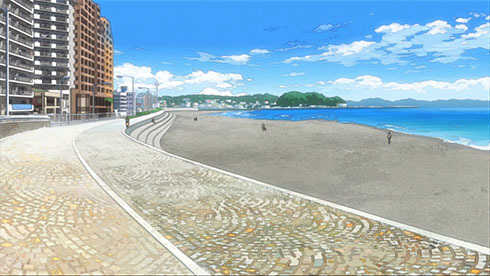 We couldn’t be going back to Enoshima again, right? 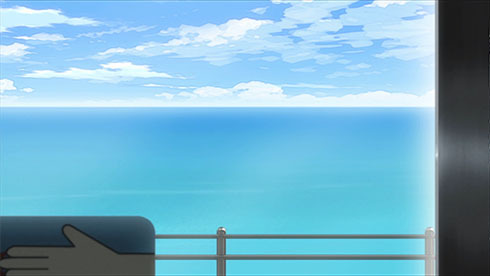 Rokka makes a comment about having not suddenly jumped on a train for an unplanned excursion since her younger years. 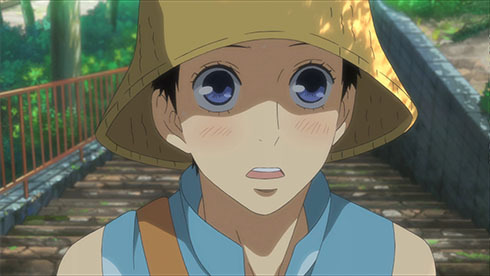 The fact that this is something you can do at all is one of things I miss most about living in Japan. The frequency and density of train lines and buses allows for spontaneous non-car travel. In Washington, DC, I had to be mindful of the metro schedule even at the end of the workday, or I might have ended up waiting an extra half hour for a train. In non-peak times, the gaps between NJ Transit trains to New York from my home can be an hour or more. Longer trips require even more lead time. Most of the US just isn’t setup for the kind of convenient, multi-modal, public transit travel that Japan offers. Public lockers are one of the unsung heroes of transit infrastructure in many places, as anyone who has backpacked through Europe can attest. An unglamorous but crucial enabler of extended foot travel is the ability to temporarily store unneeded baggage. We used to have lockers in New York Penn Station, but these were removed after 9/11. 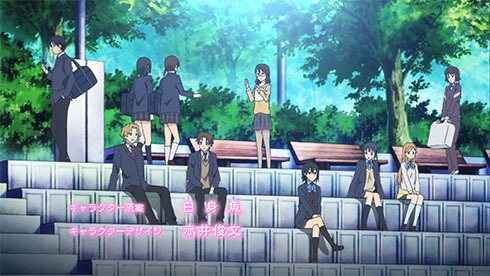 I think I see Konatsu and Wakana! 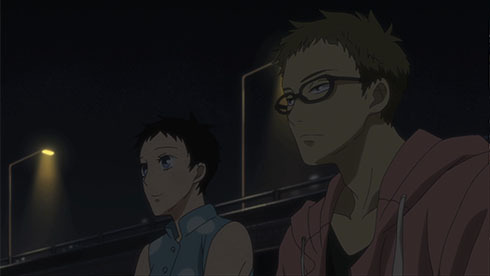 Wait, wrong show. 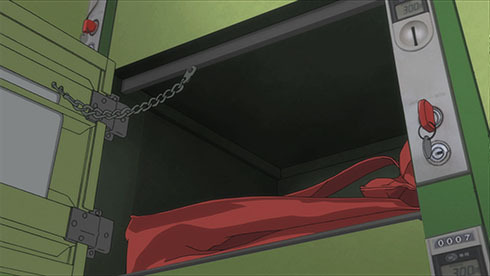 Rokka returns by train to Tokyo. 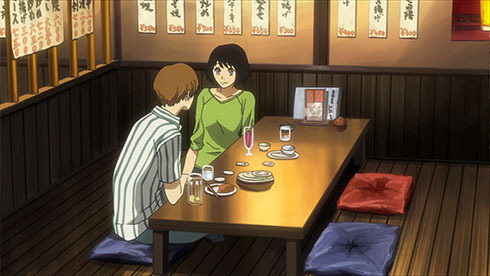 Rokka recalls one of her first dates with Atsushi. 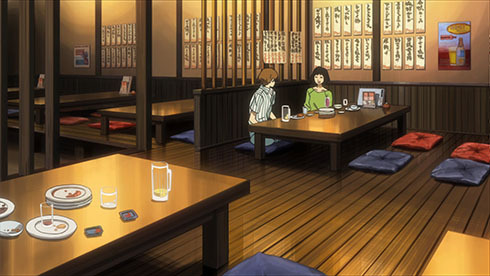 The setting is an izakaya, something like the Japanese equivalent of a tapas bar, serving alcohol and a large array of small dishes for accompaniment. By design, it’s a very informal meal, which allows guests to focus on interaction and conversation. When I host meetings for Hitosubashi University ICS alumni in New York, this is usually the kind of place we end up choosing. 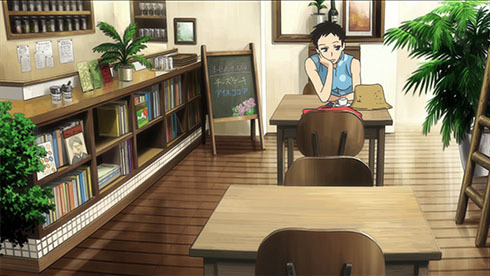 Rokka stops at a cafe to collect her thoughts before returning to Ryūsuke/Atsushi in Tokyo. She is beginning to suspect something unusual about his behavior. Check out those ruins of compacted garbage. This week gets all sorts of weird, with fairies manufacturing bananas, causing time to loop back on itself, creating a gaggle of Mediator doppelgangers which they manipulate into producing sweets for them. Hey, don’t shoot me, I’m just the messenger. I tend to have a soft spot for the absurdist niche. With the glut of saccharin and predictable plots found in pop culture of all places, it’s refreshing to find storytellers that feel no need to get the point on your timetable, or at all. 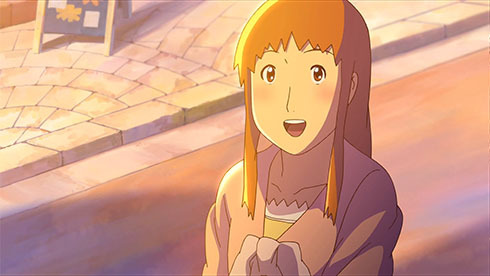 For this show specifically, I also like that, unlike Miyazaki films for example, the messages regarding consumption and the environment are subtle, not preachy. The show uses offbeat humor to call out the things (and many of them are things) we put so much value on having, but aren’t necessarily the lasting cultural artifacts we’d think of as representing our values to future generations. 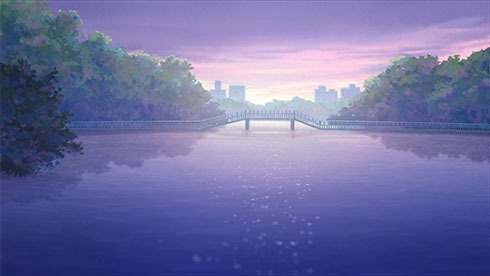 PES opens with a beautiful sunset over Inokashira Park. Everyone gathering around to admire a car is a rich social experience, apparently. Perhaps at a car show it is, but I can think of better things to do with my time. 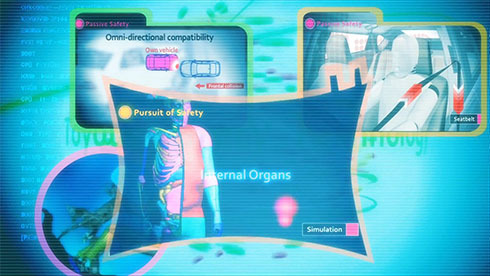 The Nasubi review their stolen Toyota R&D data, poring over passenger safety features. These are great if you’re the passenger, but as Tom Vanderbilt points out in his book Traffic, the advanced development of safety features and noise and vibration dampening that make new cars so reassuring and comfortable actually makes drivers less attentive, less risk averse, and more dangerous to pedestrians and cyclists. 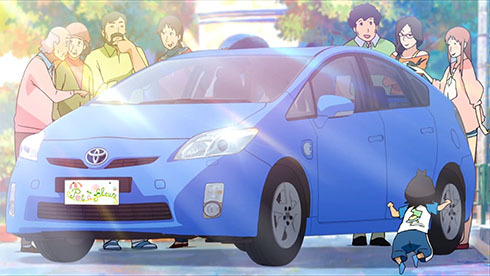 This is a plug-in hybrid electric Prius. +1 point. 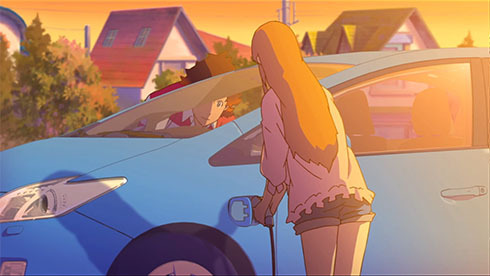 Kurumi, who might be warming up to Pes’ romantic interest, suggests they “go for a drive” again soon. No! Gorgeous sunset! Inokashira Park! Go! Now! -2 points. 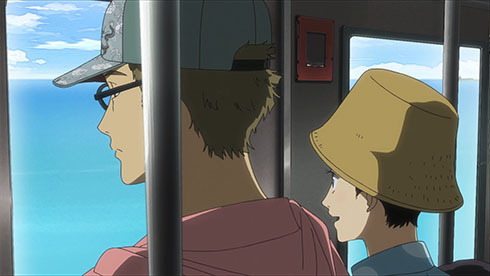 “the management at Enoshima Electric Railway is rather hip to the branding opportunities created when its trains and stations get prominent placement in manga and anime”- This is awesome. This is yet another example of what transportation companies can shoot for. The battle is not won on more service as important as that is, the battle is won by training the people and killing the negative stigma associated with transportation in the US. I love this part because it shows how practice and effortless it is to start painting transportation on a positive light. great post!